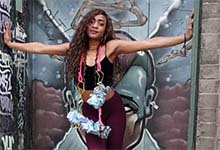 Experiment with materials, techniques and processes on a highly respected jewellery design degree course. You are encouraged to pursue innovation, challenge conventions and push the boundaries of the discipline. You will develop practical skills alongside intellectual engagement and inventive thinking. Creative problem solving is a continuous thread, where a questioning attitude and experimental approach to materials, perceptions, concepts and outcomes is encouraged. Individuality is fundamental to your creative development, personal philosophy and direction. 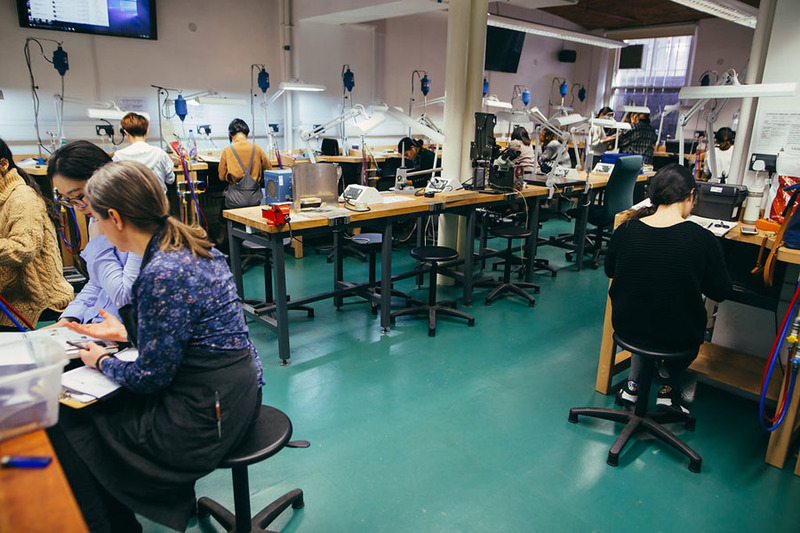 The School is uniquely positioned in the heart of the Jewellery Quarter enabling you to be fully immersed in the industry from the first day of your studies. 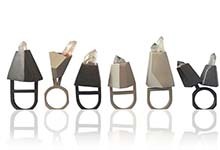 This practical degree is an internationally-respected jewellery design course. It gives you the freedom to develop your own creativity by encouraging you to experiment with a variety of ideas, materials, processes and techniques. You’ll be supported and encouraged to create innovative designs to a high standard of professionalism, and have the chance to enter competitions and awards. In your first year of study, the focus is on developing traditional processes followed by experimental materials investigation, allowing you to enter the second year with a range of skills and the confidence to explore various optional topics, live and collaborative projects. 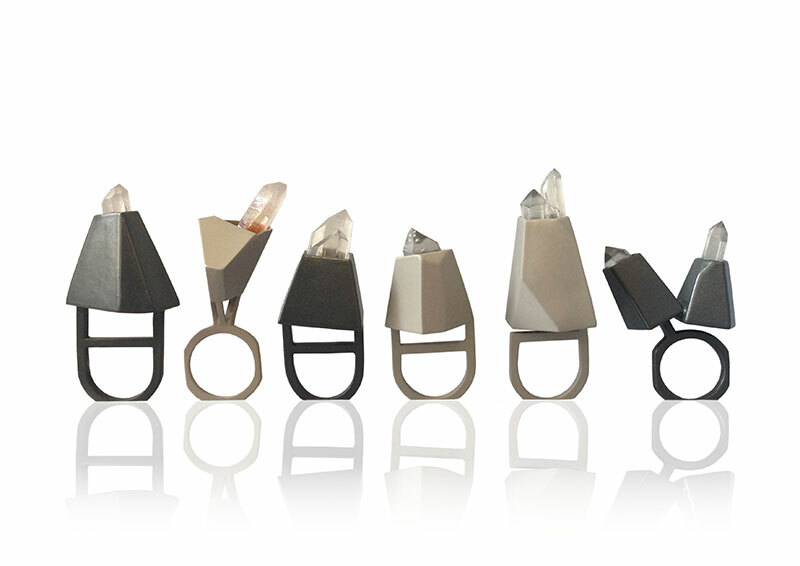 Past student Ruth Hallows was chosen to produce an exclusive jewellery collection, to be sold in Argos nationwide and online. 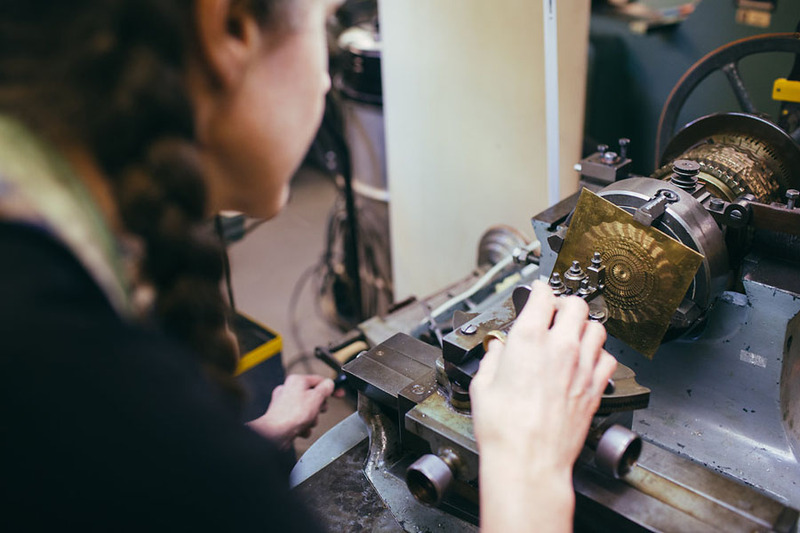 She gained the opportunity to work alongside Argos' jewellery buying team and manufacturer Optima, spending time learning the process of how her collection would be developed from design through to production. Past students have also undertaken work experience with the likes of Topshop, Tatty Devine and Kath Libert. You can be guided by your own inspiration. While studying, you will have the opportunity to host a number of jewellery exhibitions, which gives you the opportunity to exhibit and sell your pieces to the public. You and your peers final collections span the breadth of the discipline of contemporary jewellery and objects, often relating to broader art and design disciplines such as fashion, accessories, theatre, product design and fine art. 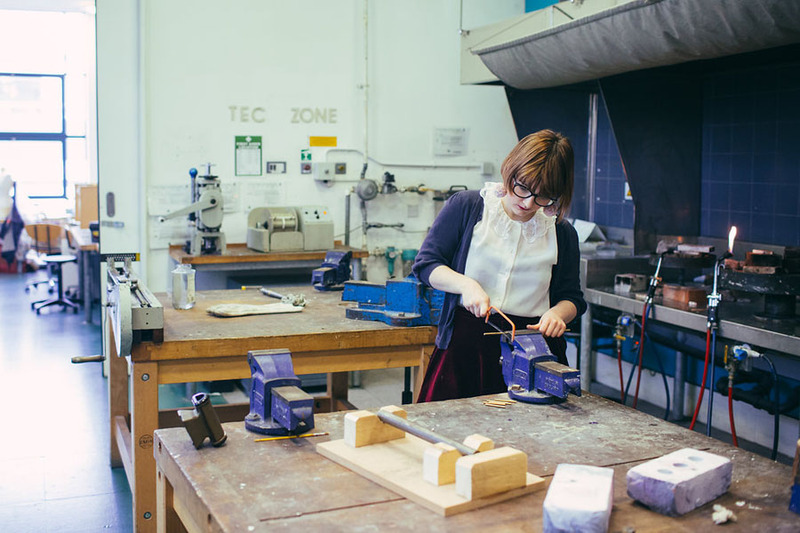 The School of Jewellery is internationally renowned, in the heart of Birmingham’s famous Jewellery Quarter. The historical facade of our Vittoria Street building conceals a contemporary environment including workshops, a specialist library, the Vittoria Gallery and exhibition space. 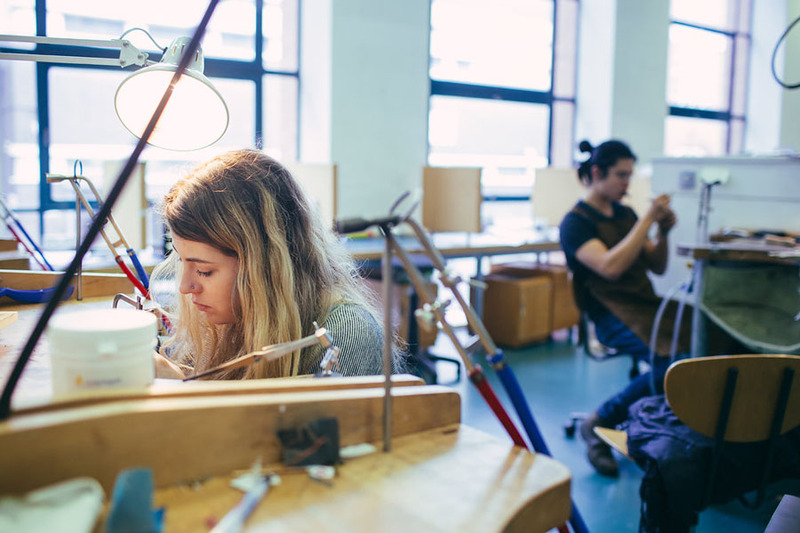 The BA Hons Jewellery and Objects programme empowers its students to create innovative jewellery and objects which challenge the boundaries of the discipline, enabling our graduates to be uniquely positioned to lead and contribute to the wider professional field. You are given complete creative freedom. 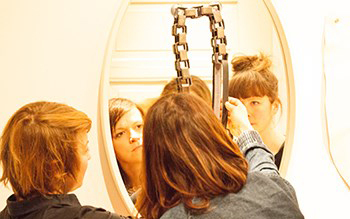 The jewellery and objects course encourages you to develop your own personal style and create innovative work without boundaries. 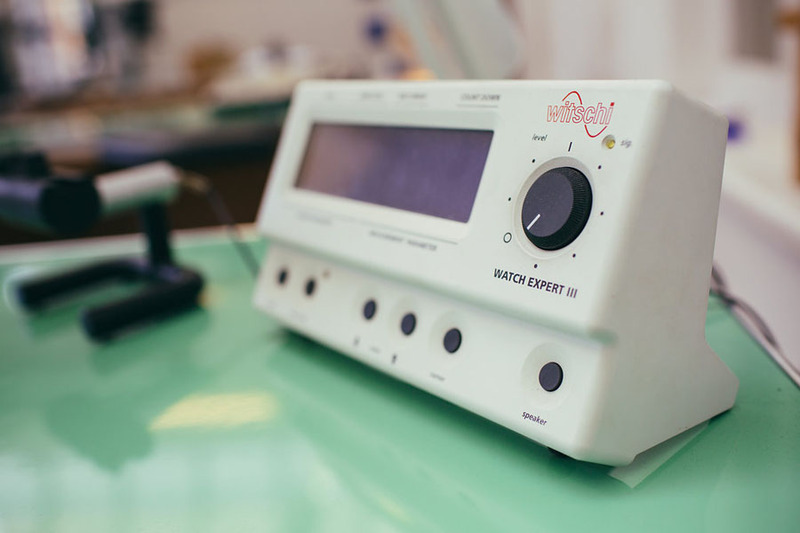 The School of Jewellery benefits from specialist technicians, academic and support staff. We also have a rolling programme of Artist in Residences (AIRs) who have diverse skills and knowledge to share with you and contribute to your learning experience. 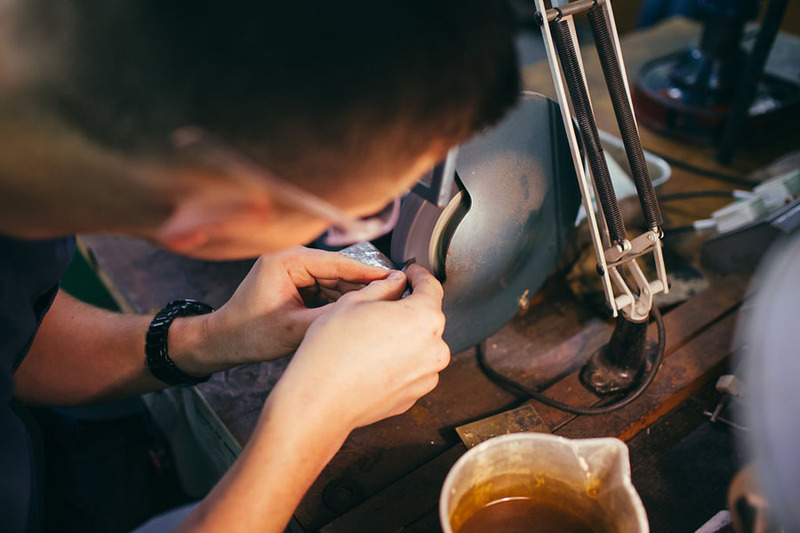 You'll be based near to our Jewellery Industry Innovation Centre (JIIC) – internationally known for its 'concept-to-prototype’ approach to new product development. The course enables you to design, develop and launch your own highly innovative, contemporary and thought-provoking products. A selection of first year BA (Hons) Jewellery and Objects students recently exhibited at the Royal Horticultural Flower Show as part of a live project with Horticulture Week. Included in the fees is the cost of all teaching and facilities pertaining to the programme, including access and use of a range of new technologies, IT support, library resources, workshop access and other learning equipment. There are additional costs associated with this course, such as drawing and workshop materials, study visits and personal hand tools. Guidance will be offered during the first week and throughout the course as to what you may be required to fund in order to progress through the modules at each level of study. During your first year, you’ll be introduced to techniques and ways of working as well as materials exploration and experimentation. Contextual study modules will encourage a wider discussion and awareness of the field and allow you to develop a further understanding of the discipline. The purpose of this first contextual studies module is to provide you with an introduction to the ideas that are important to the discipline. It will also enable you to begin to develop your research, writing and critical thinking skills and to communicate your ideas and learning effectively. The learning you engage with here will inform your studio practice and enable you to participate in academic research, reading and writing throughout your course. 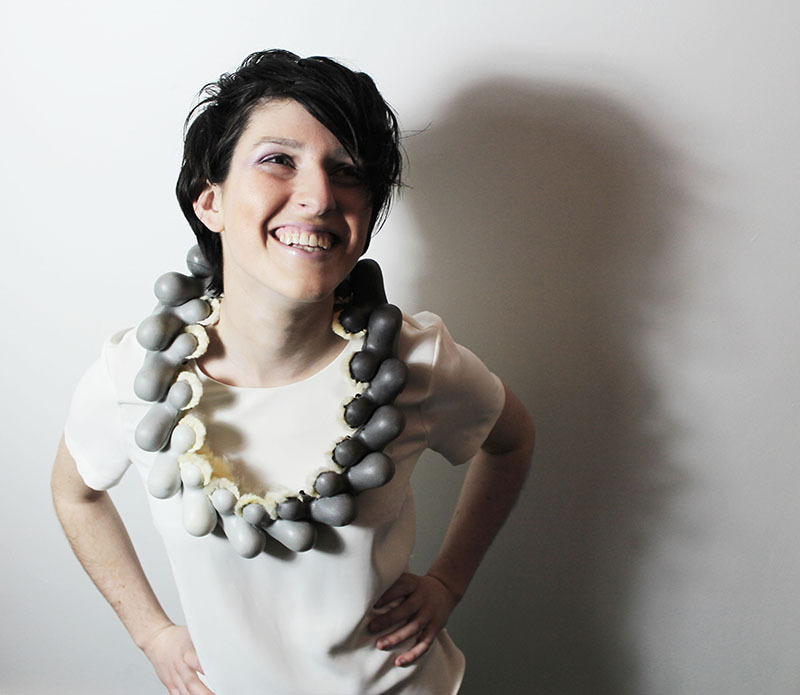 This module introduces you to a range of techniques, processes and materials core to the discipline of Jewellery and Object making through exploration and practice. You will observe demonstrations and participate in a series of inductions to equipment, processes and techniques, which you will then be expected to explore and experiment with further in order to develop independent learning, alongside problem solving skills and attain an appropriate level of craftsmanship. 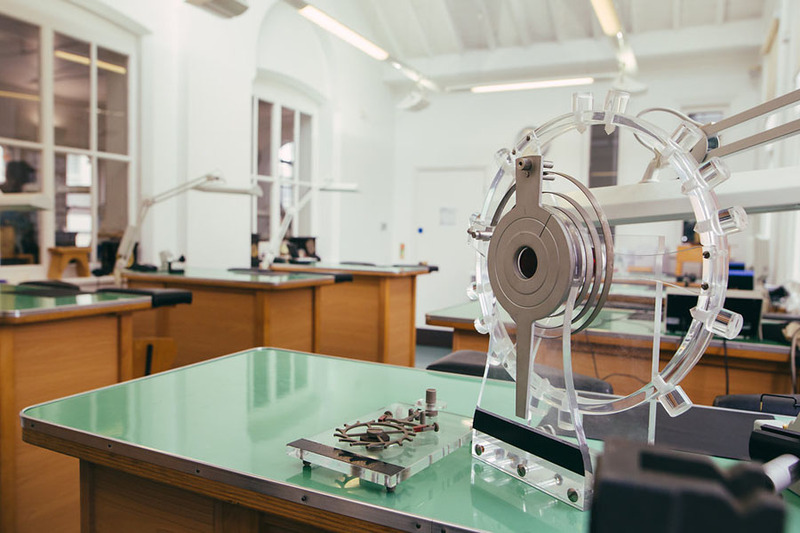 This module will continue to develop your knowledge of materials, techniques and processes, and challenge your understanding of the breadth and depth of possibilities within the field of jewellery and objects. You will be introduced to explorative methods that focus on developing ideas and design. You will explore research topics and be introduced into identifying personal lines of inquiry and appropriate individual methods of development. You will explore a range of methods to enable you to reflect, solve problems and evaluate your creative practice. 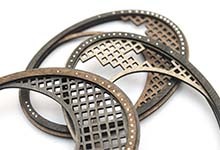 This modules is designed to introduce you to a range of ornamental surface techniques, processes and materials within the discipline of Jewellery and Objects through demonstration and practice. It will encourage exploration and experimentation with techniques and processes to develop an innovative approach to surface and ornament, whilst demonstrating high levels of craftsmanship. 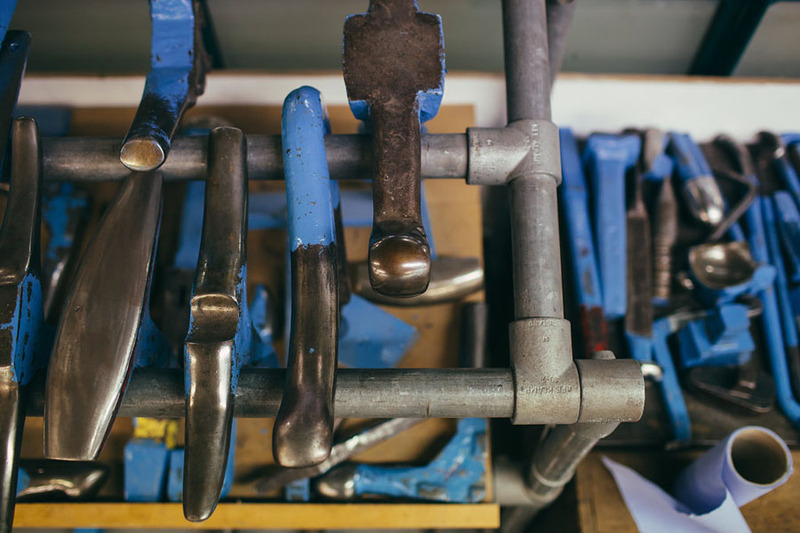 In this module you will be introduced to the fundamental techniques and processes used in metalwork for creating non-wearable objects through demonstrations and practice. 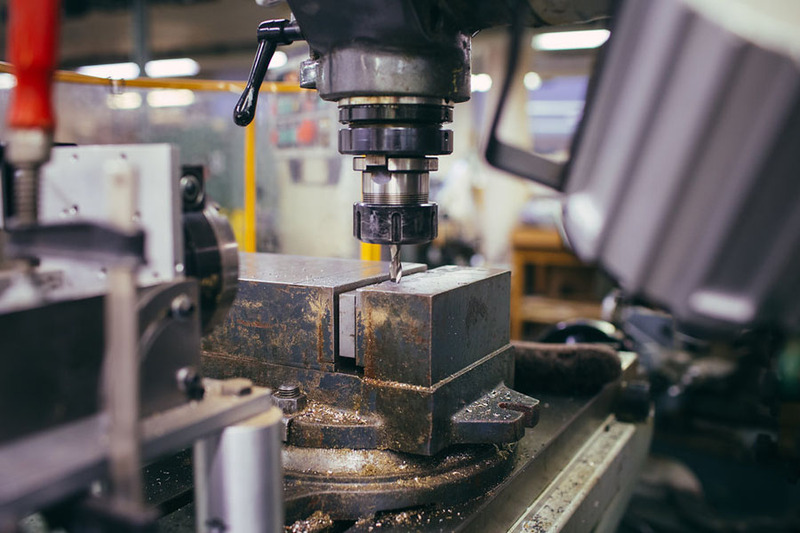 You will participate in a range of set exercises to expand your developing knowledge of materials, technical ability and skills through the production of technical samples and final outcomes. The second year explores further awareness of the breadth of the discipline, experimentation and risk taking, with introduction into more specialist pathways and optional modules, as well as exploring employability and collaborative practice. In this module you will be required to engage with a range of practice methodologies and carry out sustained, in-depth exploration of different materials, processes and techniques through the development of your own ideas. You will be encouraged to demonstrate an increasingly critical and analytical approach to your practice as well as to establish inquisitive and experimental attitudes to self-generated ideas that illustrate your developing personal artistic language. This module further develops students understanding of research methodologies and the ways in which research approaches and methods inform and support studio practice across a range of outputs. You will be supported in developing independent research and studio practice with the view to identifying and applying your learning to an individual project in preparation for ongoing Study. This module aims to widen your studio practice and deepen your engagement with the chosen discipline. You will explore larger scale and broader ranging work beyond the context of wearability, to produce outcomes which convey a sense of themselves to the viewer and you will also communicate a developing personal aesthetic. The purpose of this module is to enable you to explore a range of ideas and concepts that relate to our identities, and the degree to which these can be said to reside in our physical bodies. 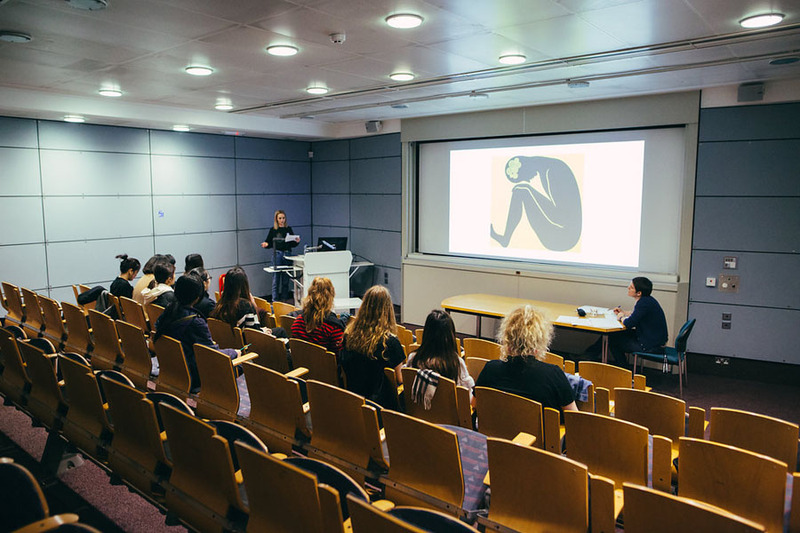 You will be introduced to key ideas in seminars, where you will have the opportunity to discuss the concepts themselves and explore how they find expression in a broad range of artefacts from the expanded field of jewellery and objects. You will be encouraged to extend your knowledge of this research context through independent research, and to build up your own bank of examples, artefacts and performances that exemplify the material covered in the seminars. 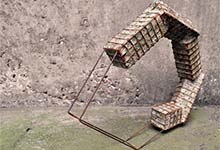 This module will introduce you to a range of materials encouraging you to undertake your own exploration of how a chosen material can be manipulated to achieve a variety of aesthetics. 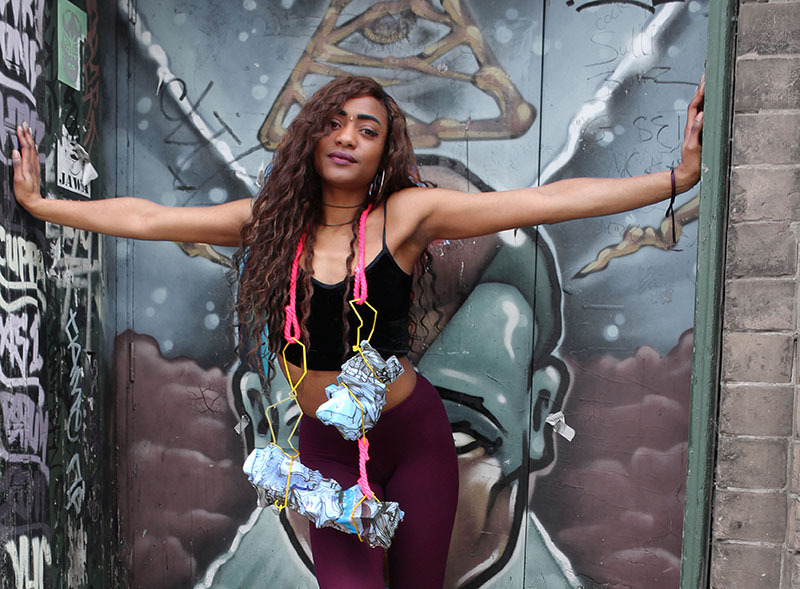 Alongside developing your knowledge of materials you will also develop critical thinking skills about how materials are/can be used to convey meaning in the field of Jewellery and Objects and within the broader context of art and design. This module allows you to start to think about the idea of luxury and how it can be defined. You will expand your thinking to encompass the luxury sector of the market and explore the global significance of luxury jewellery brands, particularly how celebrity endorsement impacts on the perceptions of what luxury is. You will consider the significance of brand heritage and examine whether reliance on loyalty to a brand can be maximised. You may also investigate how luxury brand extensions can be utilised. You need to understand how an emerging brand can find their identity through innovative and luxury marketing strategies. This module enables you to undertake a sustained, in-depth and theoretically informed practical Studio project exploring an area that is of personal interest to you. This will take place within a studio group context relevant to your chosen specialism and under the tutorage of a BA Tutor. You will work alongside like-minded peers to further enrich your enquiry. 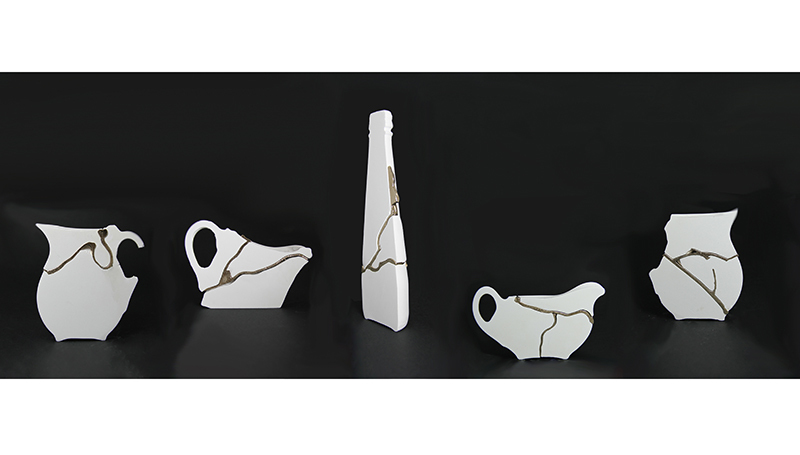 The outcome will take the form of a practice-based portfolio of Artefacts, Research and Design Development. The overall aim of this module is to enable you to develop communication skills with which you may articulate your work to a high standard of professionalism, it will enable you to identify potential career opportunities which span the breadth of the discipline. This module you will explore key transferable skills which will enhance your employability and entrepreneurial skill sets. This module prepares you to launch a career within the creative industries as an industry graduate. 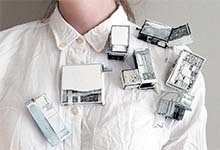 This is a three-year full-time design-based course exploring contemporary practice in the field of Jewellery and Object making. 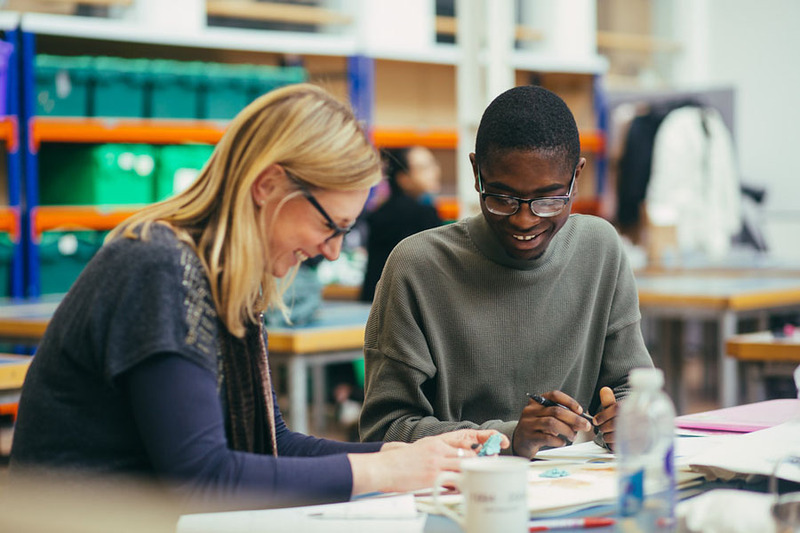 It gives you the opportunity to be creative and experimental within the design process, enabling you to design and make highly innovative, contemporary and thought-provoking work. Primarily, you will learn through a practical hands-on learning experience called experiential learning. This means you will be learning by doing, and designing your work and collections via making. 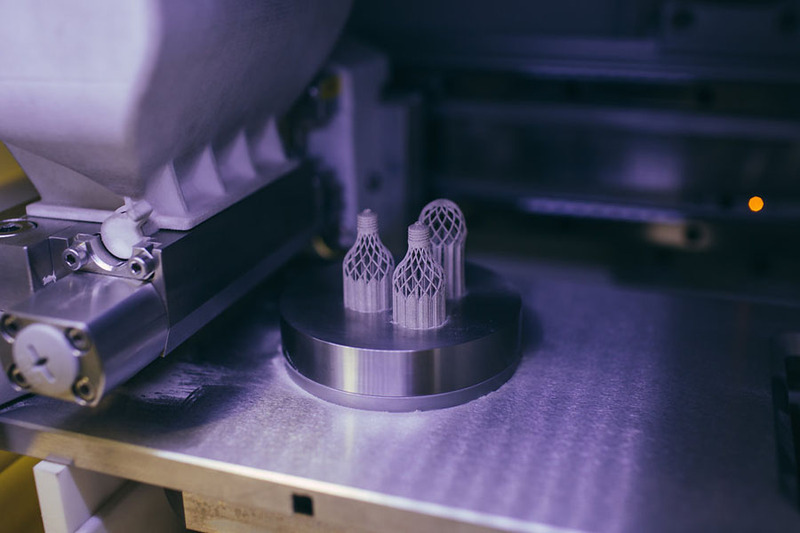 A great emphasis is placed on experimenting with a variety of materials, processes and techniques, which enables you to actively engage with and solve three-dimensional problems. A questioning attitude to the discipline concepts and outcomes is encouraged. Being open-minded will help you to embrace the philosophy and aims of this course, as studies are intended to stretch and challenge your perception of the subject area, enabling you to develop practical skills alongside intellectual engagement. We deliver rich, world-leading learning through making and doing. 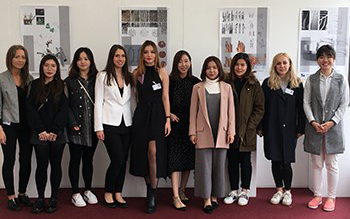 You’ll work on industry briefs set by external companies and have the opportunity to understand jewellery on an international scale through a study trip. You also develop two-dimensional design skills to enable you to clearly think through your ideas and to communicate these to a wider audience. This practical approach to studying 3D design is strongly underpinned by theory and research into the field and its related disciplines. A variety of learning and teaching methods are employed on this course, such as workshop activities, demonstration and practice, lectures, seminars, critiques, team work, presentations, module briefings, tutorials with staff and artist in residence, online learning, self-directed study, study visits, and one-day projects. The course is assessed on 100 per cent coursework. We feel this best mirrors the way you’d work in the real world and so better prepares you for a career in the design industry. Emphasis is placed on self-discovery. For that reason, self-directed study plays a significant role and a motivating attitude and enquiring mind is necessary to be successful. Erasmus opportunities are available during the second year of study and will account for a 60 credit module. This scheme permits a successful student to study for up to one semester in a partnering institution overseas. Applications are made by portfolio to partner institutions via a designated member of faculty staff and under the guidance of your Personal Tutor. 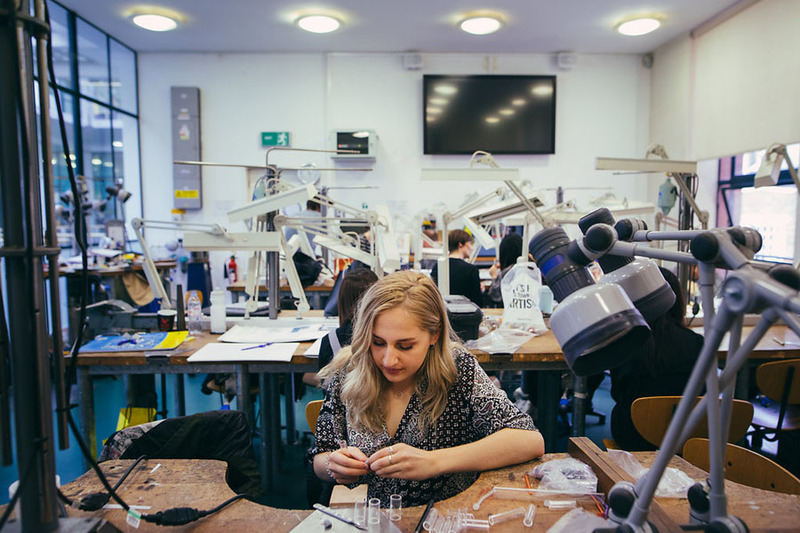 Many of our graduates progress to further studies, both within the School of Jewellery as well as farther afield, both nationally and internationally. Our graduates are well versed in critical thinking and independent research practice, as well as being competent practitioners and designers, thus enabling them to explore their chosen practice further through MA, MfA and MPhil programmes. Upon completing this programme, you will have gained an understanding of a range of materials, their properties and the processes used to create jewellery and objects. Your appreciation of the breadth of the discipline will permit innovative creative practice beyond the boundaries of jewellery and objects. Graduates demonstrate critical thinking skills, and are confident and able to challenge concepts and make judgements in order to enable personal directions to be followed, as well as bring new opportunities to companies and industry practice. Using a range of techniques to communicate and realise design ideas, you will develop a professional level of promotion and articulation suitable for a range of situations. Self-directed study and applied project management skills throughout your studies allows you to utilise time efficiently in your graduate activities and professional roles. You will be encouraged to take up any relevant opportunities which are available to you, and we have numerous opportunities for live projects which may lead to part-time employment and more. It is not uncommon for our students to be working in the industry part-time while studying with us. One of our graduates undertook summer and sessional work experience with Just Trade prior to completing her studies, she then went on to work for the company after completing her degree and is now a core member of their team. 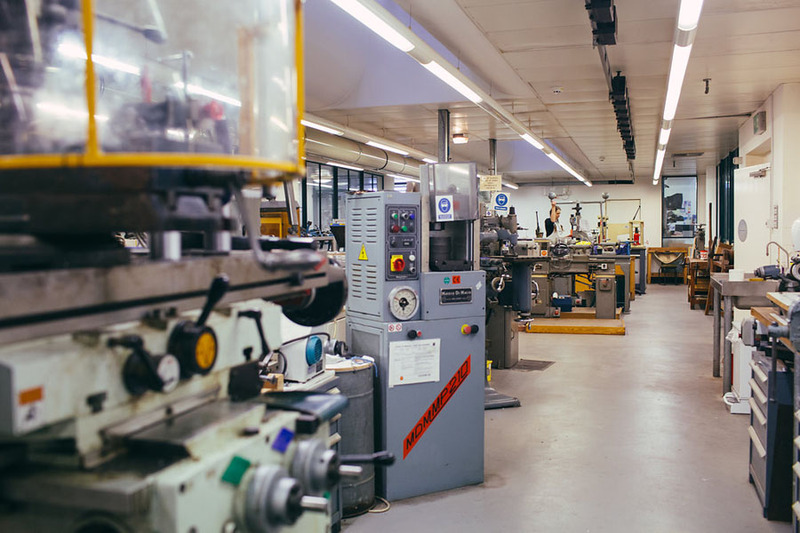 The School is uniquely positioned in the heart of the Birmingham Jewellery Quarter, and has over 125 years of history training jewellers and silversmiths for the industry and later for the arts. It proudly maintains its links with the surrounding industry and receives generous sponsorship through prizes and competitions. 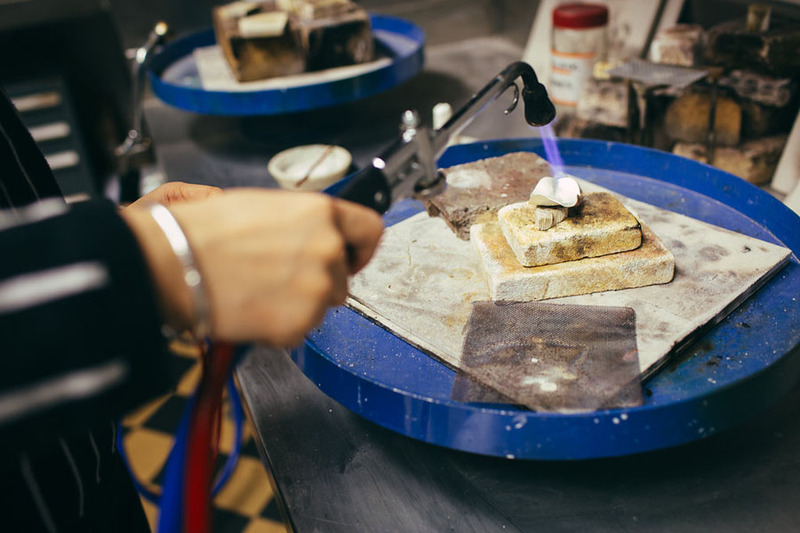 This includes The Birmingham Assay Office, Cookson Gold, Weston Beamor, The Worshipful Company of Goldsmiths, Royal Birmingham Society of Arts and numerous others. 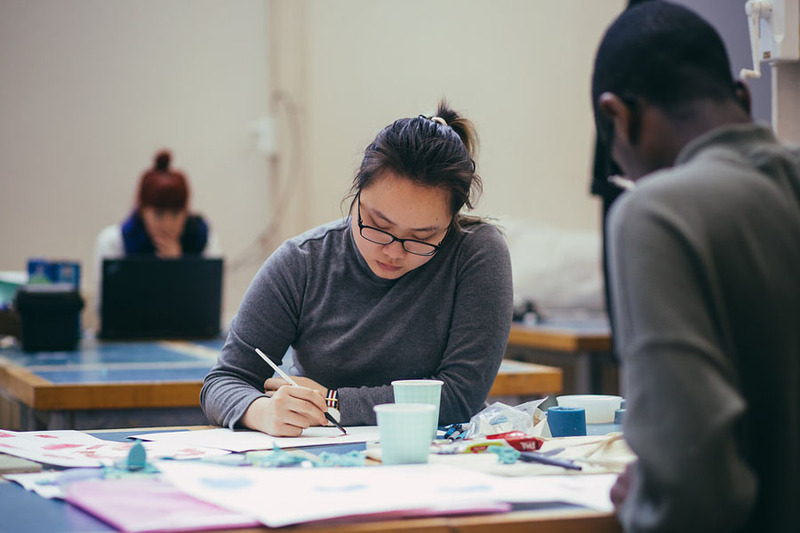 Within the School are a number of other specialist courses which further enhance the industry connections from which collaborative practice and related activities can emerge, allowing for a wider range of associated links for our graduates. The course delivers a wide range of skills, through critical thinking to materials investigation and design development skills, allowing the participant to develop their own unique voice and forge an individual path for their onward careers. Graduates are able to progress into a number of associated fields within the creative industries, including work as creative directors, gallery owners, curators, studio-based designer-maker practitioners, free-thinking entrepreneurs, educators and researchers. Many also progress on to further study and associated industries. 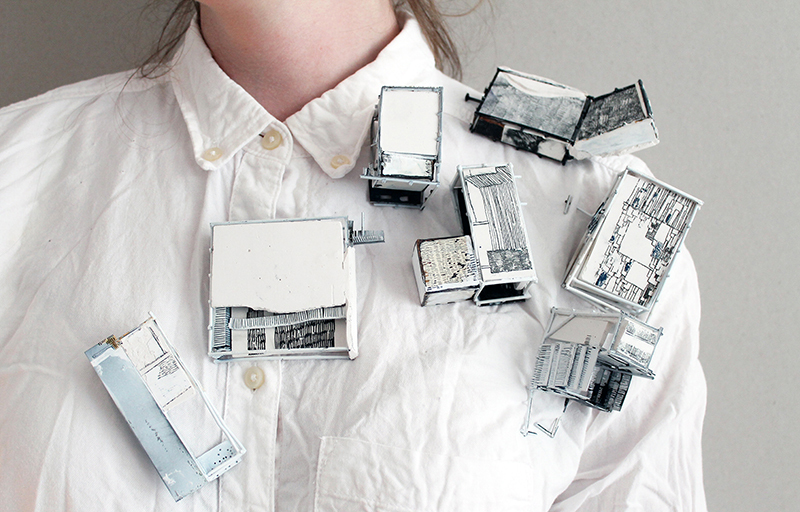 Graduate Nuala Clooney is celebrating after her work was shortlisted for the prestigious Ruskin Prize. 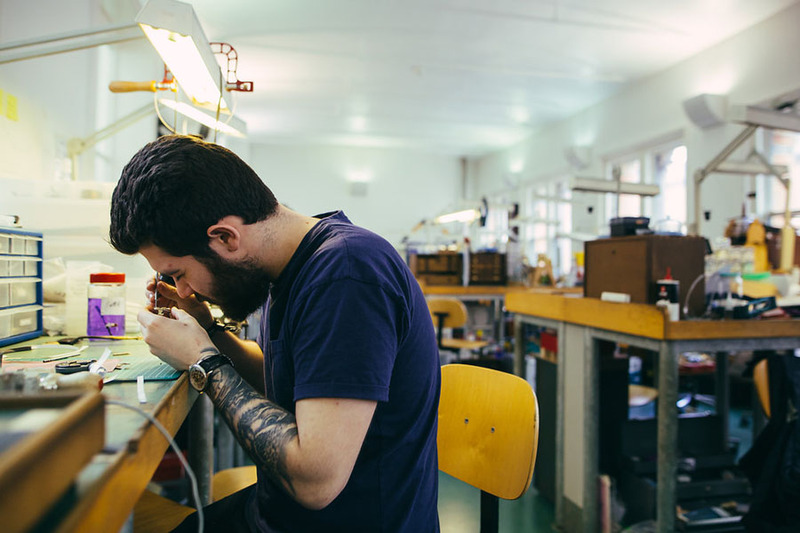 Due to the prestigious history, reputation and positioning of the School of Jewellery, it is undoubtedly a popular destination for International applicants. 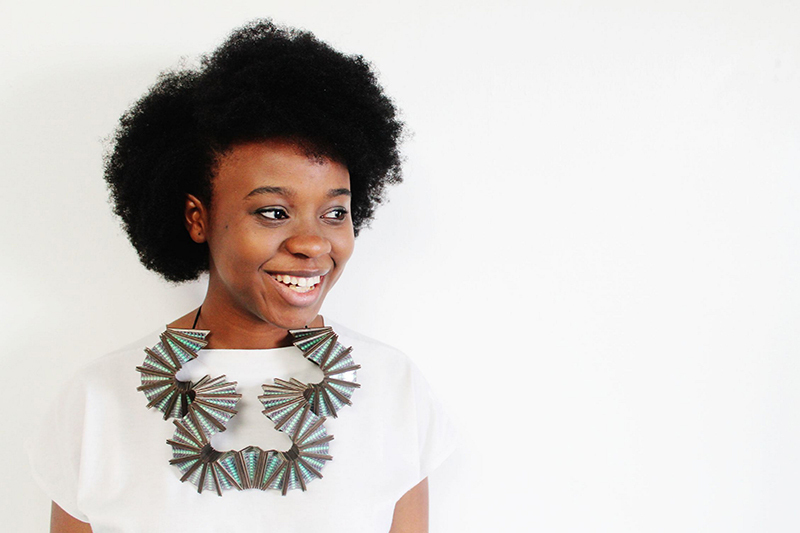 The Jewellery and Objects Programme is therefore host to a number of international students. 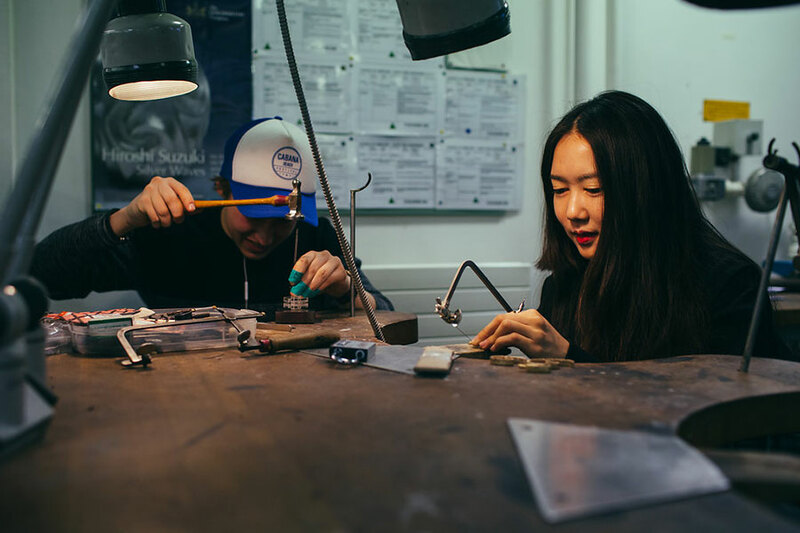 Chinese students are attracted to the course as it offers a very distinct blend of European education married with traditional British design and craft skills. There are also a number of European communities within the student profile, including Lithuania, Denmark and France, among others. The cultural richness offered by this diverse student body offers unparalleled opportunities to our students and alumni in the form of global connections, awareness and opportunities for collaborations both while studying and also upon graduation. The course is supported by a team of outstanding practitioners with high profile Industry reputations. The Programme Leader, Beaulagh Brooks is an accomplished studio-practitioner with a wealth of industry and education experience and studio work in notable collections such as the V&A Museum. 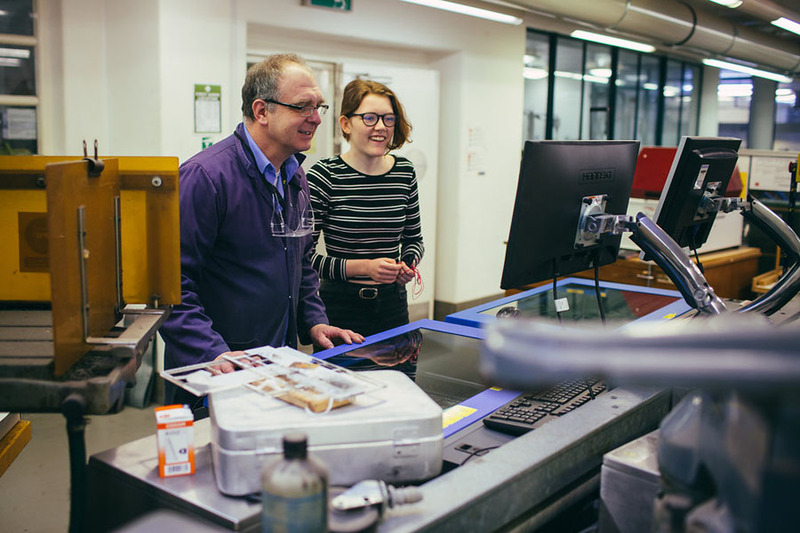 Fellow team members include jewellers and object makers Toni Mayner and Drew Markou, as well as silversmith and applied artist Anna Lorenz and researcher/writer/blogger Sian Hindle. 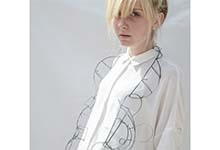 There is also a pool of Associate Tutors, who are practicing designers and makers within the field. Beaulagh is the Programme Leader and Level 6 Co-ordinator for the BA (Hons) Jewellery and Objects course, she is also personal tutor to a year group and will have some involvement with all students throughout their studies. She has been lecturing in Higher Education Institutions for over 20 years, alongside running a Studio practice as well as a commercially facing Graduate Support Hub. She is an advocate of shared practice and developing employability skills, and is often asked to consult on key aspects of related Industry engagement. 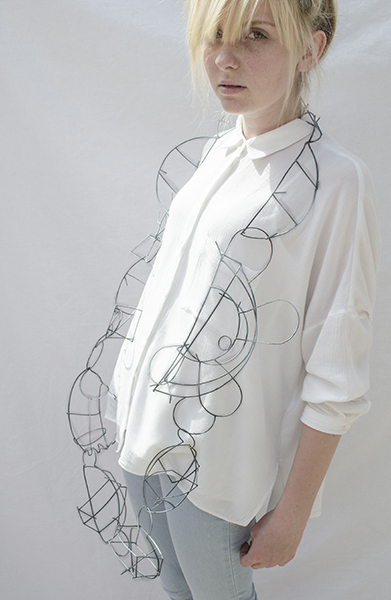 An award winning, trained Silversmith & Goldsmith and graduate of the Royal College of Art, her own personal work explores sculptural forms and functional objects through innovative metal morphosis techniques, exploring form through a variety of materials and scales from Jewellery to Artefacts. Beaulagh has a wealth of Education and Industry experience which she brings to her post and shares with her students in order to guide individuals to realise their full potential as graduates. 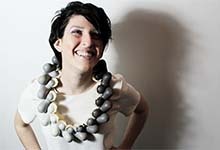 Toni Mayner lives and works in Birmingham as a part-time lecturer at the School of Jewellery and an independent Jewellery Artist exhibiting in the UK and abroad. 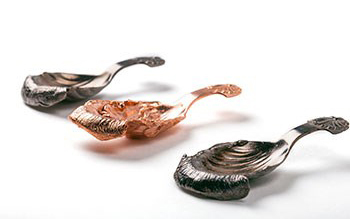 Initially training as a jeweller, during her Master's studies she developed large-scale work which led to her spending a year in the Netherlands working with Dutch silversmiths. 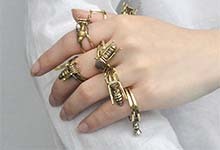 Her work has been supported the Arts and Humanities Research Council, Arts Council England and Birmingham Assay Office. 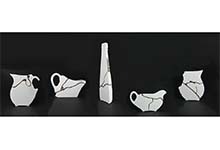 Drew Markou is a full-time lecturer and Level 4 Co-ordinator for the BA (Hons) Jewellery and Objects course at the School of Jewellery, alongside which he undertakes his own creative professional practice as an Art Jeweller and Object Maker. 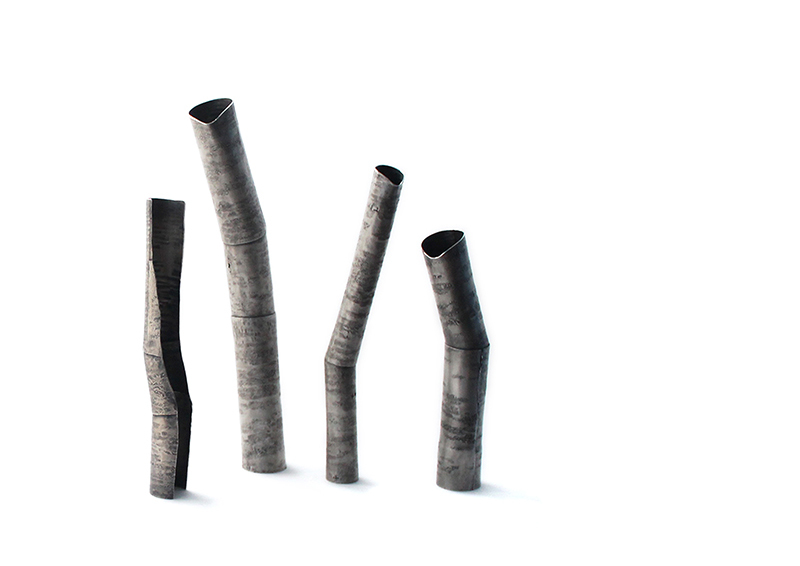 With a background in Landscape Design and Horticulture, then moving into jewellery and silversmithing, Drew focuses on the ideas of scale in design and how changing this alters function. 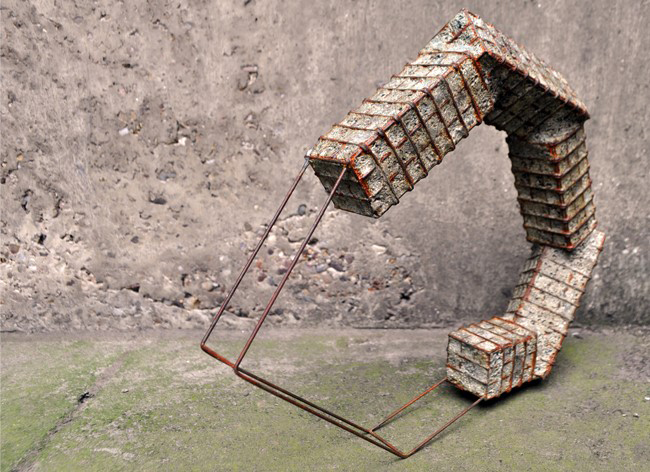 Drew also explores how materials and forms are used to convey personal narratives and thinking through making. 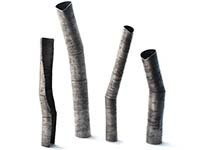 His practice crosses disciplines and pushes boundaries using materials in innovative ways.